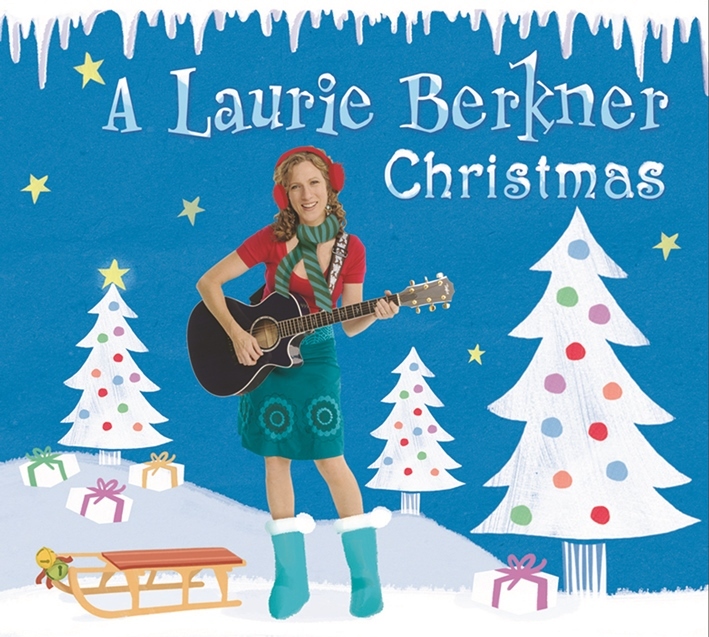 If you are looking for some fun music for the wee folks in your life this Christmas then look no further than A Laurie Berkner Christmas. 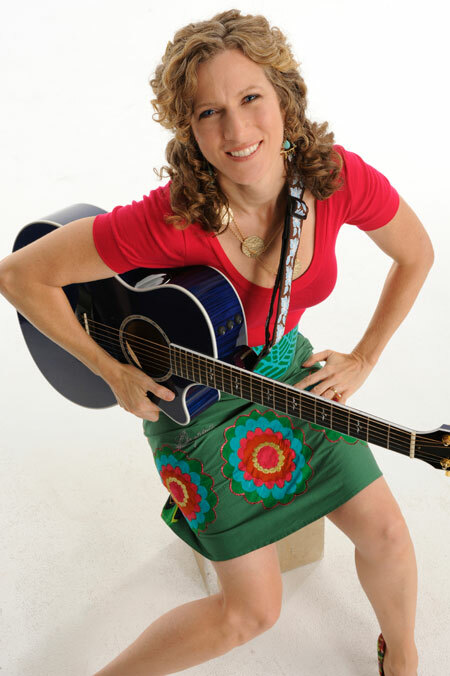 Although Laurie Berkner says her music may appeal to children from infants all the way to seven or eight years old, the sweet spot age wise is four years old. “I still get a lot of tweens and teenagers who write to me and say I grew up on your music and I still think that it is wonderful. I still listen,” she says. “Candy Cane Jane,” is a fun song that even this writer found himself singing along to and the companion video although it does not have a big wow factor is cute and it will easily entertain the younger set. Jeffrey Lesser engineered the Christmas album and Berkner says that he was more like a partner than an engineer. “He recorded the album and his touch made it sound really good. It is the only album that I have done with him. He was really important in making it sound as good as it does. Susie Lampert was on keyboards and Bob Golden was on drums and then I had a bass player named Adam Bernstein. He has since left the band and interestingly I had a guest artist on that album named Brady Rymer and he ended up becoming my new bass player. I also had a wonderful cameo from Elizabeth Mitchell. She and I sang “Silent Night,” together and she has a beautiful voice. I had a bunch of kids on there and I hadn’t done that much with kids on my albums before. I tend not to have a lot of kids on my albums, because I found that if you are going to listen to something over and over and over again, sometimes it can be harder to do that with kids’ voices than it is with adults. I wanted to make sure that both adults and kids loved it. There was something about bringing children’s voices into this that made it feel more Christmassy to me, because that was my memory of when I was a kid, hearing kids sing Christmas carols and being a kid singing Christmas carols. I had my daughter and a few of her friends come in and record for this album. That was a lot of fun,” recalls Berkner. We put the conversation about the Christmas album on hold for a few minutes to talk about the aforementioned Susie Lampert. “Suzie is my longtime partner in crime. I played my first kids show probably in 1997 by myself and after I played that show I called her, because we had been in this all female cover band called Lois Lane. I said can you please just come and play some of these songs with me live. I made that first recording for the kids that I was the music teacher for. When I started doing some benefits at other schools and I started playing around I just realized that it was much more fun to play with other people. Right after that she started playing with me and she has been playing with me ever since. We have been playing together for about twenty years. She is just a (very) important person in my life. She is my daughter’s godmother and she is a very special human being. I feel like I could go on about the other musicians and all of the people in the other part of my career, which is my record label and on the business side of things and the people who have helped me there. There are all the people who over the years said I really like what you do and I want to help you. It has been unbelievable with how much of that I have gotten. I feel pretty lucky and grateful for all of that help and it would be hard to talk about all of it even in an entire evening,” she says. Most Christmas albums are not recorded in the winter and they are not in any way recorded close to Christmastime. A Laurie Berkner Christmas was not an exception. As for the song, “Santa’s Coming to My House Tonight,” she says, “That song was really fun to write. It was about staying up and not being able to fall asleep on Christmas Eve and being excited about knowing that Santa Claus was coming. I really wrote it out of my own experience. I remember having the hardest time trying to fall asleep. Then I would wake up at 4:30 in the morning. I wasn’t allowed to wake my parents up (she laughs), but I was allowed to go out and to look in my stocking. That is the only thing that I was allowed to do. My brother and I would do that and we would spend three hours slowly eating our candy and opening little stocking gifts. Then my parents got up and we could open the rest of the presents. I think that is a universal feeling, not just for kids, but for adults too. Sometimes when there is something very exciting happening the next day it is very hard to fall asleep. Laurie Berkner says, because there are so many different facets of what she does in her career that it keeps her inspired. “My mission as a person and in my business is to keep being creative and in that creativity make things that I am really proud of and that touch other people and hopefully gives them chances to feel something and helps them to connect with other people. Whenever I have an opportunity to make something that could potentially affect other people in a positive way I get motivated by that. I get excited about it and I want to do it. I don’t even know if I have to look far to find what it is that keeps me doing it. It is more am I going to flunk out, because I get really excited, a musical ya’ that sounds like a really fun thing to do. Let’s put out a new album, I will just write a whole bunch of new songs. I will make a book. Let’s take the music and do it in an entirely new way. What is really interesting is when I think of what I want to do I don’t necessarily think about kids in particular. I am just very inspired by kids and I think they are wise and they have interesting and funny and worthwhile ideas. When I write songs I think a lot about what kids say to me, what I remember from being a kid and those things inspire me a lot. I also love how kids respond to music and being with them at a concert or after a concert. I think all of those things keep me wanting to do more,” she says. After having worked as music specialists for daycares, Laurie Berkner, a psychology major, got her first big break when she appeared on the Today show. “That was pretty huge and I think of it as one of the big stepping stones. Before that anybody who knew about me, found out about me through word of mouth. On the Today show they had a different way to find out about me and it wasn’t through a friend, it was through experiencing me and watching me play. A couple of things happened. Amazon was pretty new and that day all three of the albums that I had put out were in the top five best sellers of all of Amazon during the day. It was me and somebody very famous was up there. I remember thinking this is really crazy and it was only for a day. At the same time I got a call from a Barnes & Noble distributor, Alliance and they said we are looking for someone named Laurie Berkner or Two Tomatoes Records. I was in my pjs and I was thinking why are you looking for her and they said we have people coming into our stores all over the country asking for music from her and we don’t carry it. We are trying to figure out how to find her. I tried to call Alliance hundreds of times and I couldn’t get through the phone tree. It was a big turnaround at that moment and I ended up having to hire a lot of friends to help me send out CDs. I wasn’t really prepared for such an enormous response. That took me to another level in my business. It let a lot of people know about me and it led to a book deal. The cool thing was, because it was in Manhattan and I had a pretty strong and loyal local following among parents and kids, a lot of people came to the show. They got there at five in the morning and they brought signs and their kids. It really was one of those moments that I felt like I was sort of a celebrity in a way that I hadn’t really felt before. The other really neat thing about that moment was I had never been on live national television and I was pretty scared thinking I am doing a live show and I didn’t have a band. I didn’t even have a drummer. It was just my husband on bass and Susie on keyboards. We went out there and they said this is the count down. A guy about 100 feet in front of me stuck his hand up and went five four and counted down three two one and then he pointed at me and I just had to start playing. When he did that I was fine, because I’ve done this for years already. Even though, I wasn’t a famous person I had been playing for a really long time with kids, with parents and in other band stuff. I had already been doing it long enough that it felt very natural and fun. That was a wonderful surprise. I thought this is really not that hard and it is really enjoyable. It doesn’t have to be so scary. I knew there were many more people not only right there in front of me, but that there were millions of people across the country watching. I think that was what was a little scary. It wasn’t just the people right in front of me, it was probably the biggest audience that I had ever played for,” says Berkner. In 2017 Laurie Berkner will be releasing two picture books, with a third one to follow in 2018. She has already met with her publisher.